Laid down, 25 March 1942, at Snow Shipyards, Inc., Rockland, ME. 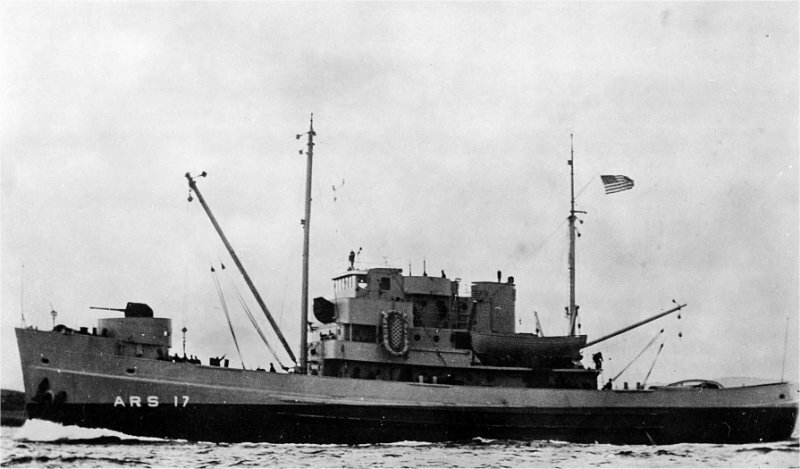 Sold to Denmark and commissioned into the Royal Danish Navy, 27 February 1948, as KDMS Vitus Bering, at New Orleans, LA. 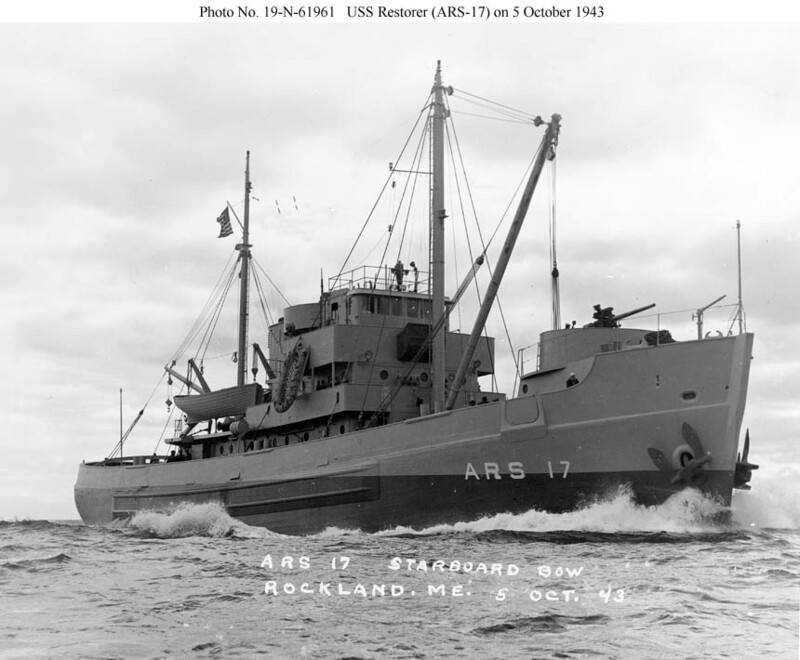 109k USS Restorer (ARS-17) running the measured mile off Rockland, ME., 5 October 1943, one day before commissioning. 56k USS Restorer (ARS-17) under way, date and location unknown.